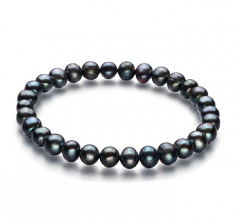 The Bliss Black 6-7mm A Quality Freshwater Pearl Bracelet is dark and playful with its multi-hues black colors. 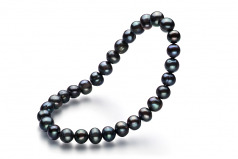 While black by definition, each pearl takes on an array of blues, greens and sometimes even a layer of purple. 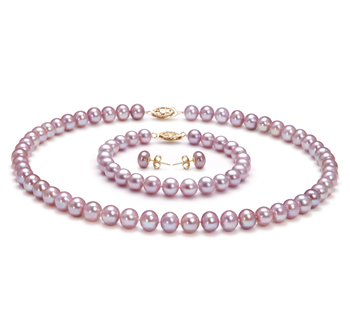 Classic and elegant in its unique and display of the (A) out of round shaped pearls, they each hold special groves and places for their natural (AA) mirror like luster to glisten through as it sparkles and lights up the surface of the pearls. Strung on an elastic band, the Black Freshwater pearl bracelet slips on and off with ease. This is one beauty that can spruce up any style of clothing.